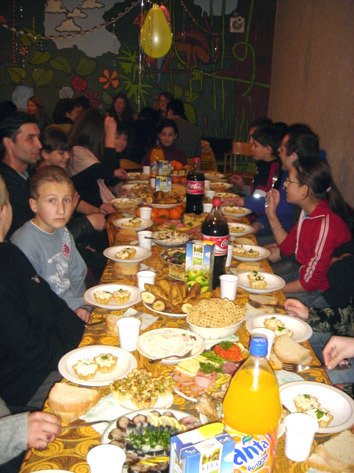 The Rehabilitation Center for Teenagers of Chisinau (RCTC) started its activity in 2003 with an initiative group that had thedesire to get involved and make a difference in the life of disadvantagedchildren of Chisinau city. RCTC is a non-governmental, non-profit organization, engaged in morally educativeactivities. Goal #1: GlorifyingGod through contributing to building up a Christian character, preparingdisadvantaged teenagers for an independent life (age 11-18) in the spirit oflove of Jesus and Christian morale. Goal #2: renderingservices of social, morally spiritual and educational assistance, creating temporaryfamily environment for the teenagers without a permanent place of residence. Rehabilitation is carried out by applying Christian methods of education,by acquiring working skills, respecting hygienic and ethic norms, by creatingpossibilities for adjustment and preparation for a decent life. The children coming to the Center are examined by a medic, provided withclothes, food, and place of residence until integration into a family, boarding-schoolor other legal safe environment. We also help them to restore the lost identity acts or to get ones forthem, if they never had any, to solve problems concerning school abandon and integrationof children in educational institutions. 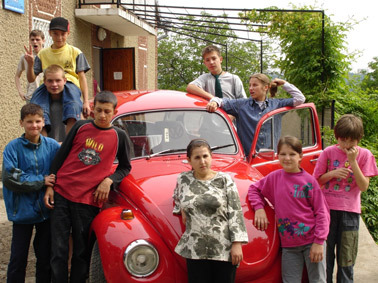 RCTC beneficiaries go to different children's camps, regional excursions,to museums, theatres, expositions and activity circles outside of school. Means and funds for maintaining the Center's activity come exclusivelyfrom donations of churches, physical and juridical persons both from RM and abroad. The entire income of RCTC is directed toward creating a family environmentand protecting rights and interests of a child in risk.